Sorry, I originally made the picture smaller, but it was just adamant that it wanted to be this size. No, I am not dead, so that’s nice! – a step in the right direction, if you will. How have you all been? I hope the answer to that is wonderful! Because I have been absent for a while, let me give you a brief update as to what’s been happening in my life recently. 1. I recently took on a second job teaching ESL (English as a Second Language) virtually to a classroom of adorable little babies (5-11 y/o’s) in China. The hours are very early in the morning due to the time difference, which has been quite the struggle getting used to, but the kiddos are so stinking cute and excited to play games and learn English that I’m 100% here for it. 2. CHAPTER ONE CONFERENCE WAS A GRAND SUCCESS! If any of you don’t know, this past year I became a member of the Board of Directors for a company called Chapter One Events. 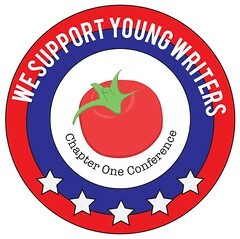 It’s a not-for-profit corporation that puts on events – online and in- person – for young writers everywhere, helping to build a stronger community of young writers, and providing tips and tricks on how to succeed as a young writer. (Follow the link for more information on our website.) Our conference, which took place on August 5th of this year, went smashingly! Our keynote speaker was Kody Keplinger, author of several works of YA lit, including The DUFF. She is honestly such a sweetheart and we were so lucky to have her with us! We also announced the beginning of our NEW conference, Chapter 21 Conference, for those ages 21-29 that will launch next year! We have all been working really hard to make this new conference a reality, and it is so exciting to finally see some of this hard work play out in real time. As for me, I have been working all this past year to solidify our corporation’s move from a for-profit to a not-for-profit, and as of August 1st of this year, we officially became a not-for-profit!!! It was a lot of hard work, but I don’t care. I am just SO EXCITED that we will now be able to provide a wider variety of events and opportunities for young writers everywhere – YOU GUYS ARE THE REASON WE’RE HERE IN THE FIRST PLACE. 3. Job applications. Applying for a full-time job is time-consuming and stressful. I honestly never thought it would be this hard. Well, technically, my younger self definitely saw me with a book deal by now, but that didn’t happen, so I’m moving forward with what I’ve got: two part-time jobs and a lot of anxiety. Keep your fingers and toes crossed for me. Honestly, I wish I could say this list was longer, but it’s not. All of my free time has been spent either reading or sleeping, which you would think would mean more book reviews, but alas, I am also lazy. I swear – I SWEAR – I’m working on it.